For the sake of full disclosure, it took two sittings for me to get through Ron Howard’s “The Da Vinci Code” and I felt that was an accomplishment. I was never interested in seeing this movie but finally caught up with it over a three day span. There were several things that pushed me away from it from Tom Hanks’ hideous hairdo too much more glaring flaws. As you can probably guess, the Hanks mop is the least of the film’s unforgivable vices. 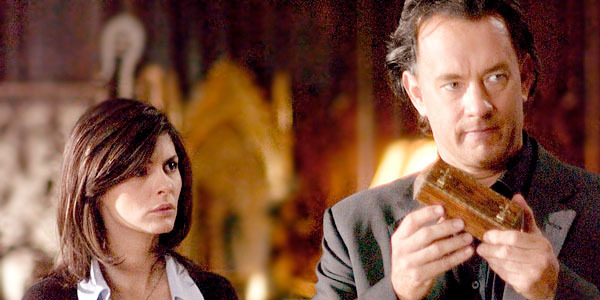 “The Da Vinci Code” is a sloppy, lazy, and amateurish production from a director that should know better. 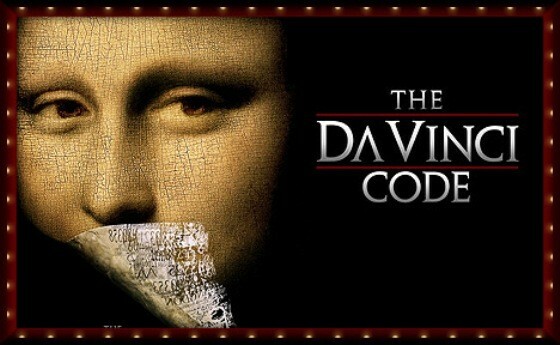 “The Da Vinci Code” was based on Dan Brown’s wildly popular 2003 novel of the same name. It reportedly cost $6 million to obtain the rights for the film with Howard signed to direct and Academy Award winning writer Akiva Goldsmith handling the screenplay. Goldsmith is hard to figure out. He’s done some brilliant work including “A Beautiful Mind” and “Cinderella Man” but he’s also written some real stinkers. But even with some questionable work on his resume, I wasn’t expecting the lazy and amateurish results that we get here. Hanks plays a noted religious symbology professor named Robert Langdon who is doing a series of lectures in Paris, France. He finds himself the prime suspect in a grisly murder inside the Louvre museum. He’s asked to come to the crime scene by a suspicious police captain (Jean Reno). While there Langdon discovers that he has been left a message from the victim that points him towards a mysterious cryptex, a device containing a message that could hold world-changing secrets. He’s joined by Sophie Neveu (Audrey Tautou), a French cryptologist and granddaughter of the victim. The two find themselves in the crosshairs of the French police and a mysterious religious sect, both trying to get their hands on the cryptex. The big revelation turns out to be a possible death blow to Christianity and the Catholic Church. It’s told through a swirl of long-winded religious conspiracy theories, absurd revisionist history, and anti-Christian nonsense that serves as nothing more than insulting shock value. Most of this is revealed to Robert and Sophie by Leigh Teabing (Ian McKellen), an old acquaintance of Robert’s and a Holy Grail enthusiast. He believes many of the secrets are hidden in Leonardo Da Vinci’s “The Last Supper”, secrets that the cryptex can corroborate. Blah, blah, blah. Honestly it’s all so bloated, preposterous, and boring. Goldsmith’s script is simply terrible. There’s not an ounce of creativity or subtlety in his storytelling. Everything is so contrived and by the books. There are numerous scenes of tedious exposition meant for nothing more but to fill in the audience on certain bits of information. There’s nothing wrong with that except for the fact they’re so poorly written and we know what they’re there for. This is also a movie loaded with ridiculous conveniences. So many times the story is advanced by a simple convenience that allows our heroes to either escape or find the next clue. Some of them are so lame that I found myself laughing out loud. I could go on about the writing but I can’t let Ron Howard off the hook either. This thing is an utter mess. It’s a thriller without thrills. The action sequences have no pop whatsoever. The dialogue is as stale and lifeless as you’ll find. His movement from scene to scene feels more like an assembly line production. And his dull and dank color palette gives the movie a dark and unattractive look. I mean neither Paris or London have ever looked worse on screen. Howard has shown in the past he knows how to direct a picture. I have no idea what happened here but a lot of the movie’s problems can be put on him. I still can’t imagine how “The Da Vinci Code” made over $750 million at the box office. That’s something that boggles my mind. Maybe it was the controversial label that it received and deservedly so. Whatever the reason, it wasn’t because this is a good film. Even without its eye-rolling, anti-Christian shock value, “The Da Vinci Code” is a movie filled with cheap shortcuts, head-shakingly bad dialogue, and poor visual decisions throughout. It’s a shame it turned out this way because there was a good cast in place. But this just shows that you can have a good cast but if you throw them crap the result is going to be crap. Such is “The Da Vinci Code”. This entry was posted in Movie Reviews - D and tagged audrey tautou, ian mckellen, jean reno, movie review, movies, tom hanks ron howard. Bookmark the permalink. Nice review. I agree. It was a real disappointment for me since I like both Hank’s and Howard’s work. This thing was an all around clunker. Everything it tried to do landed with a thud. Yet it makes $750 million at the box office! I have always rooted for TH as a director. He seems to either hit or miss–I enjoyed Cinderella Man and A Beautiful Mind. I agree with you here–I can’t fathom why it was so bloody popular. I don’t bother with the following installment. I, too, was bored. Thanks for checking out the review. You mentioned the two films of his that I truly love. But this thing was so poorly done from start to finish. A train wreck of a film! Like the book, I was bitterly disappointed with this film. It does lack thrills but I think you can blame the episodic, unoriginal story construction of the novel which is translated to the screen. I have had the same issue with the follow-up – tried to watch it twice, only got to the 20min mark before turning it off. My main problem is that I don’t like Hanks in the role…he looks either out of place or bored. I’d rather see him in You’ve Got Mail than watching him as Robert Langdon. Great point about Hanks. He has absolutely no fire whatsoever. But what really set me off was how awful the movie was done technically and narratively. Good directors can take a fairly mundane construction from a novel and give it life on the screen. Not so here. It uses cheap techniques and make several blunders that even mediocre first time directors wouldn’t make. I have zero interest in seeing this blasphemous movie Keith. Sorry that I don’t really care to read reviews of it either. Oh boy, I don’t think my church would ever show this. I mean there’s no redeemable qualities about it whatsoever. Best to just forget it never existed. My church either. But it was one here locally. And in a small town like this that sparks a lot of conversation. I can say I never spent a dime of my money on it. Never went inside at the theater. Never rented it. Caught it on TV and that was enough for me. But one thing it did do was confirm a lot of things for me. Specifically how far the world will go to discredit Christ. “…how far the world will go to discredit Christ.” It’s just soooo sad. We just finished a sermon series called The Artist and my pastor said how the world will always try to discredit our Creator from all fronts. I guess I shouldn’t be surprised but still it breaks my heart. Absolute stinker indeed bro. This is one of the worst film’s ever made. Goldsmith may be hard to figure out but then so can Howard. He’s capable of some good stuff: A Beautiful Mind, Frost/Nixon but has also done some really, really bad film’s. He’s a bit of a Hollywood hack I think, and I tremble when I hear his name involved in something I’d normally like. I think it’s hard to argue with you when it comes to Goldsmith. He’s churned out some real crap and this particular movie is at the top of that list. There are several reasons why I avoided this, but even I didn’t expect it to be such a pathetic production. A lot of people hate the book as well, you read it? Nope. This thing never interested me at all.